Back in the days, when Symbian and Java used to be the winning smartphones in the market and UC Browser was the one and only browser, I mean, the winning browser as at then, I used to wonder if there was a PC version of UC Browser. It was as if the incorperation were listening to me, few months ago, the Windows PC version of UC Browser is introduced and was still in the beta stage until recently. 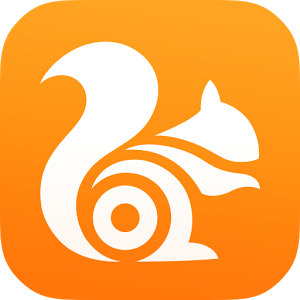 The UC Browser for Windows PC is now fully available and ready for download. As always, the UC Browser for Windows PC features all the goodies that are loaded on other versions of the UC Browser especially, the android version of the Windows PC. Below here, I have listed few of the features you are expected to enjoy while using the Windows PC version of the UC Browser. Although, UC Browser is usually loaded with superb features, it is always light-weight and smoother than most other browsers. This is one of the reasons why the UC Browser loads faster and consumes lesser application memory space on your PC. Another feature of the UC Browsers (all other versions) is also featured in the Windows PC version of the UC Browser. The Download Manager that comes with the Windows PC version of the UC Browser can download faster than other PC browsers with pause and resume functionalities; making it better for downloads compare to other PC browsers. Because UC Browser for Windows PC is built on the same source as the Google Chrome, it supports the same and as much extension as the Google Chrome. With the sync feature of the UC Browsers, you can always syncronise all your bookmarks and saved pages across your UC Browsers both on Windows PC version, android, symbian, java and iPhone and iPad versions. This feature lets you browse each website at a go in different Windows. Although, this is no longer a new feature expected of any modern browsers, it is a good thing that this featured in the Windows PC version of the UC Browser. The Windows PC version of the UC Browser is loaded with many features, you just have to download it and enjoy the goodness of browsing and downloading at the fastest speed.